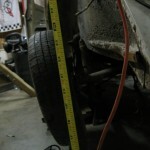 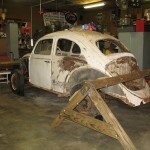 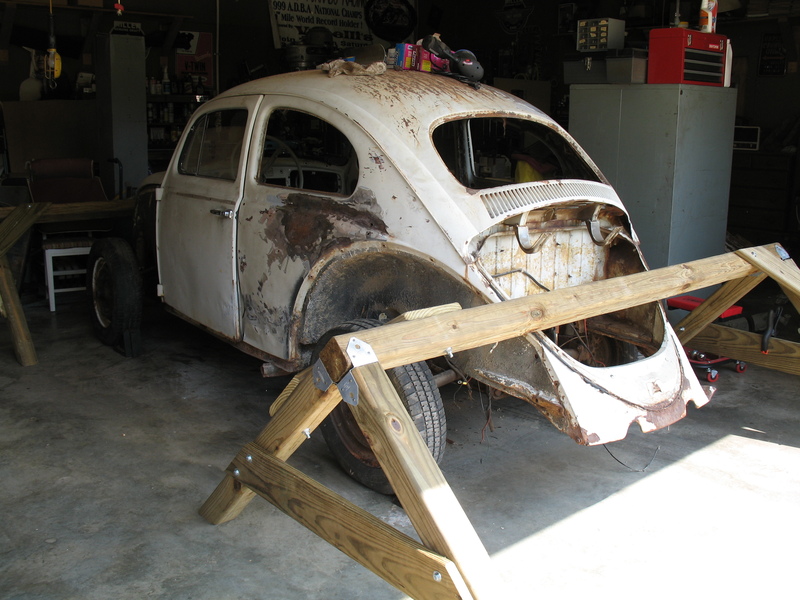 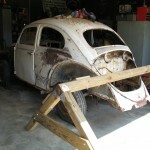 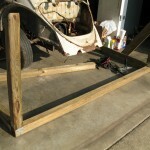 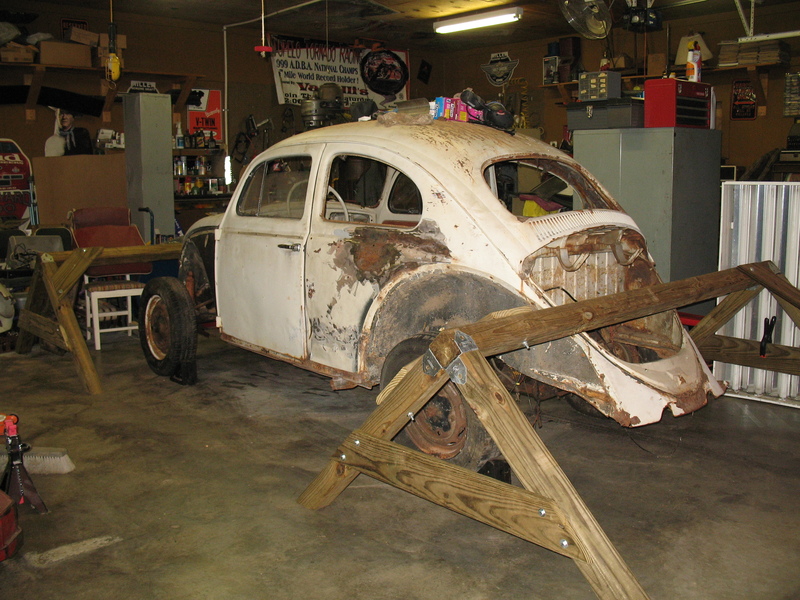 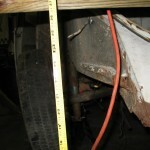 To work on the bug body while it’s off the chassis, I’ve decided to build a couple of sawhorses to support the shell. 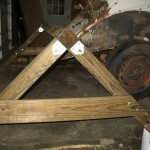 I think this is how most people support the detached body; you can see this technique in action on the BugMe Instructional Video. 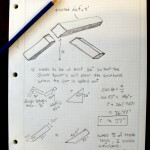 These videos are really helpful. 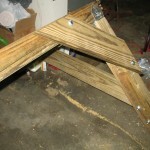 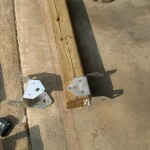 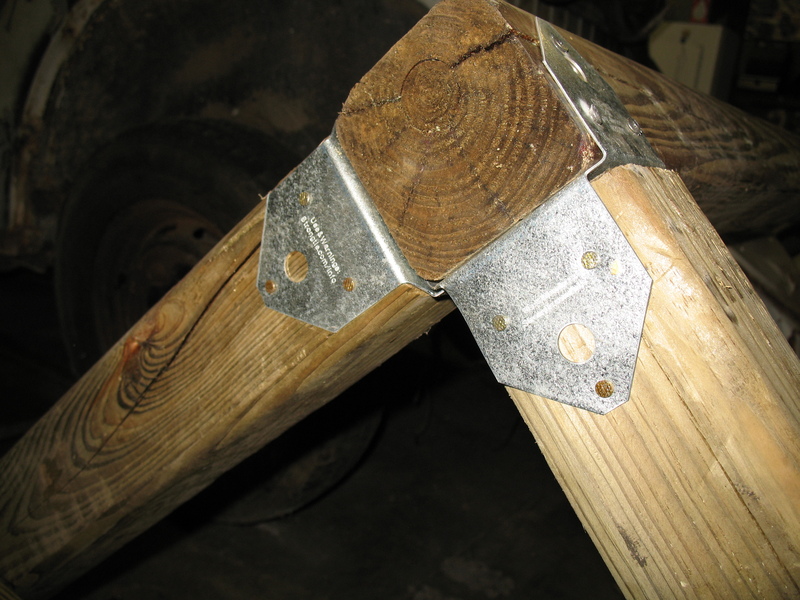 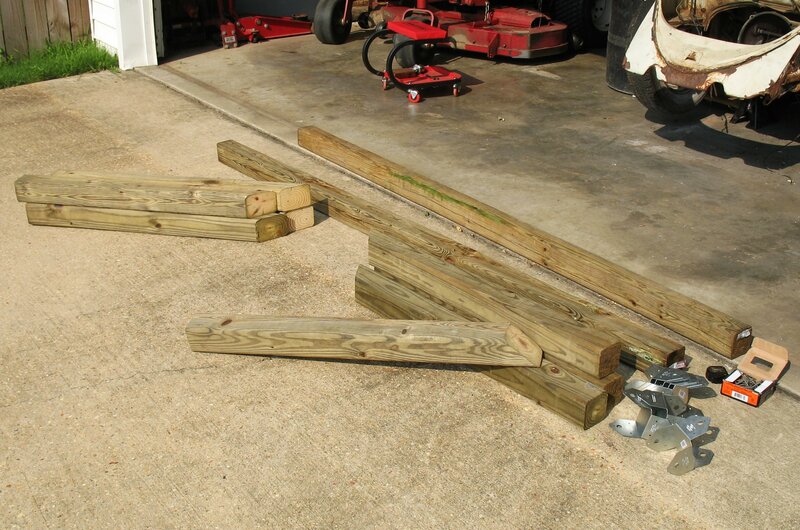 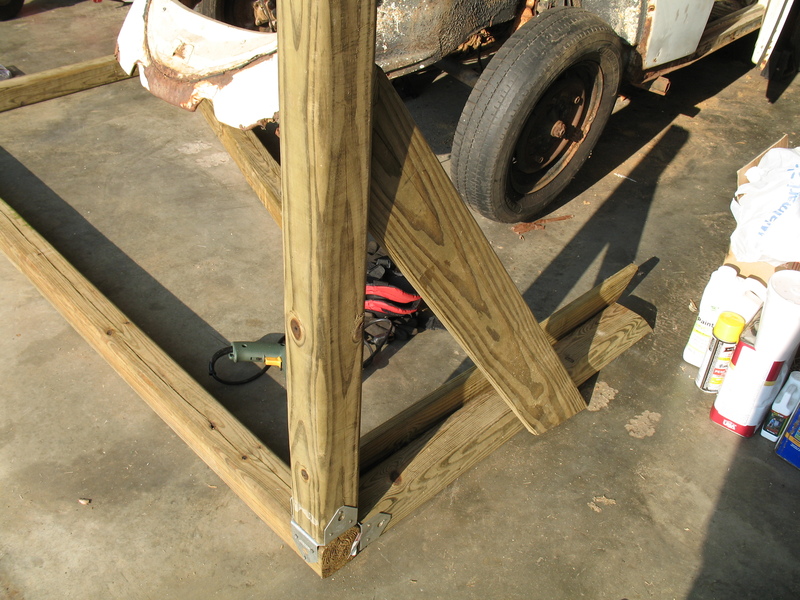 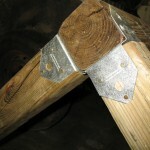 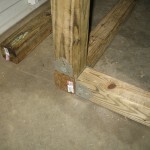 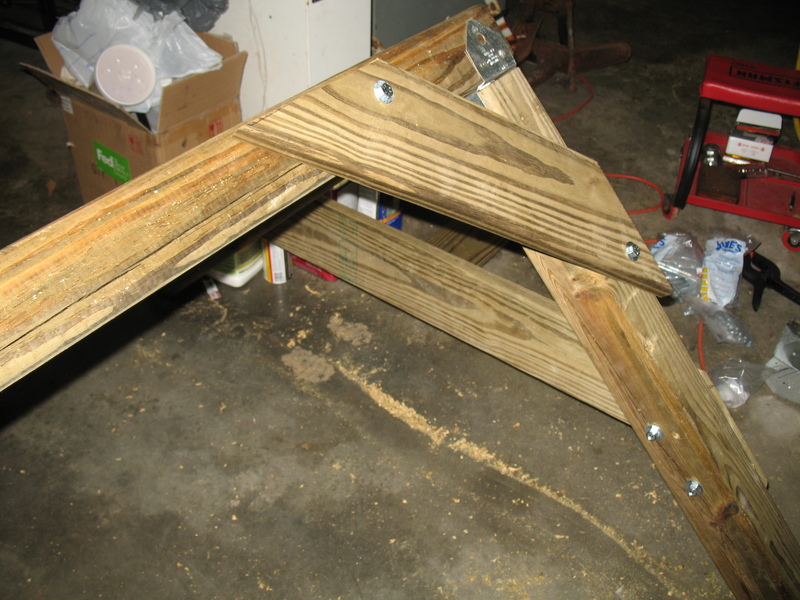 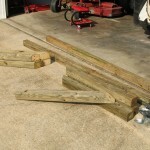 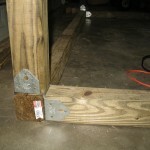 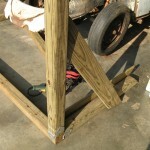 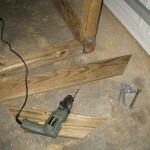 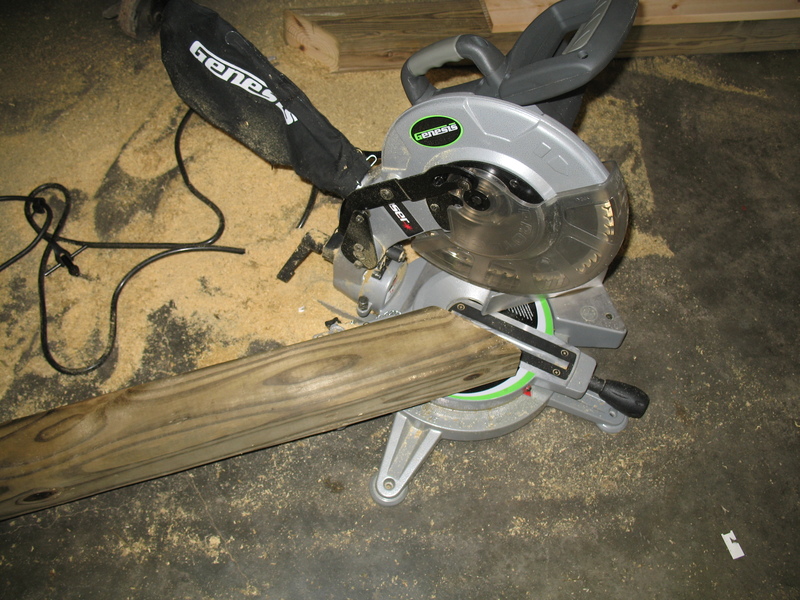 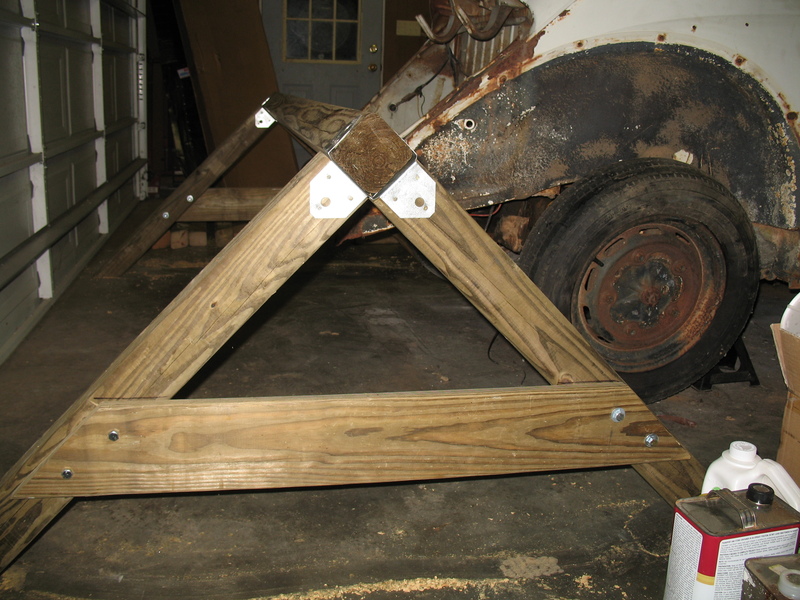 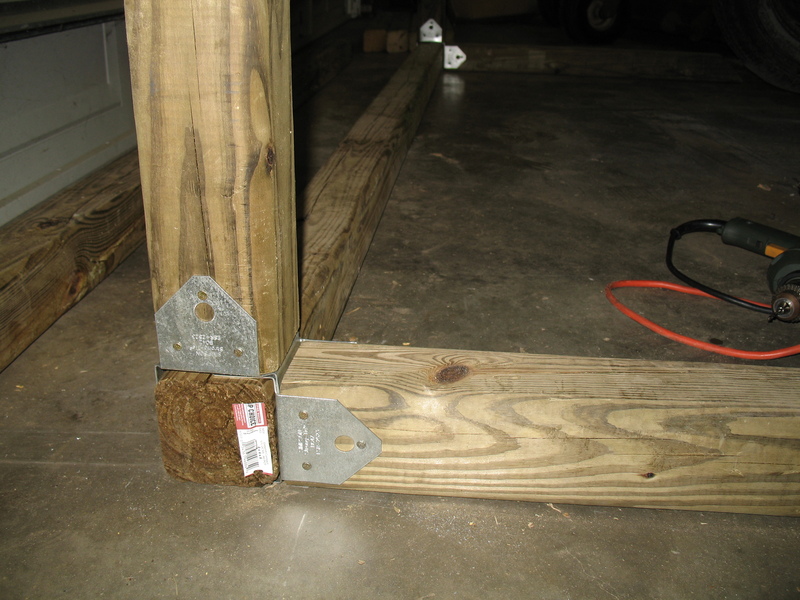 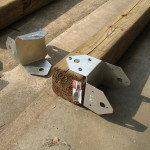 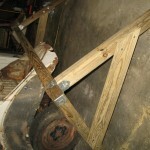 These sawhorses use pressure-treated 4″x4″s that are 8′ long. 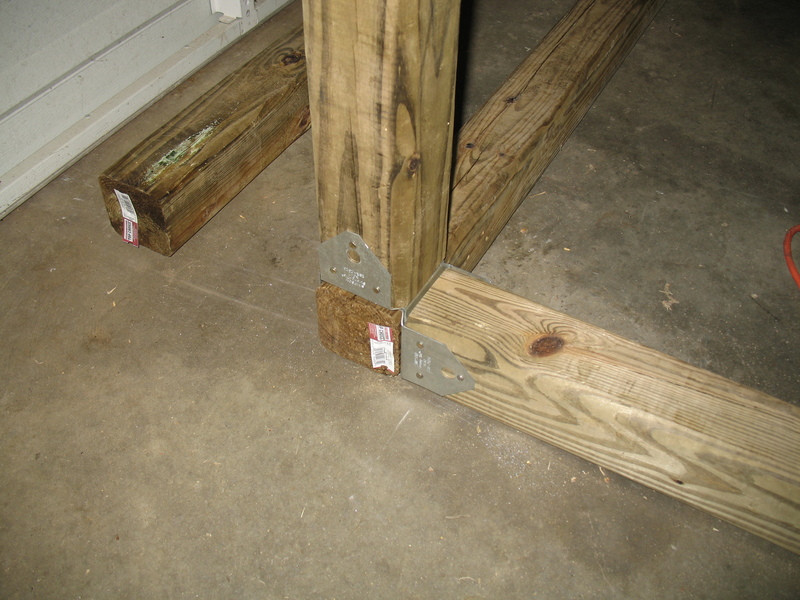 It takes 3 for the front, and 3 for the back. 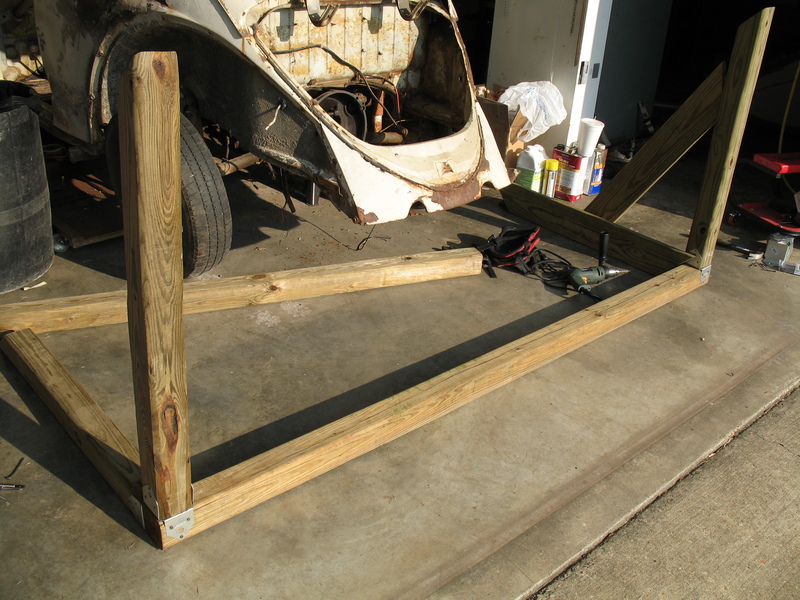 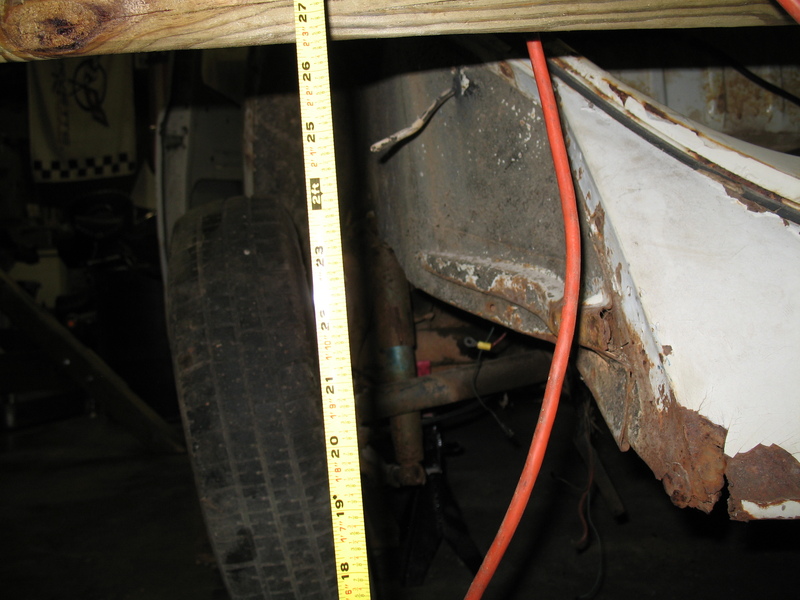 The advantage of building your own sawhorses (and in building them out of 8′ long 4″x4″s) is that they are wide enough to roll the chassis out from under the car to work on it, then roll it back it when you are finished. 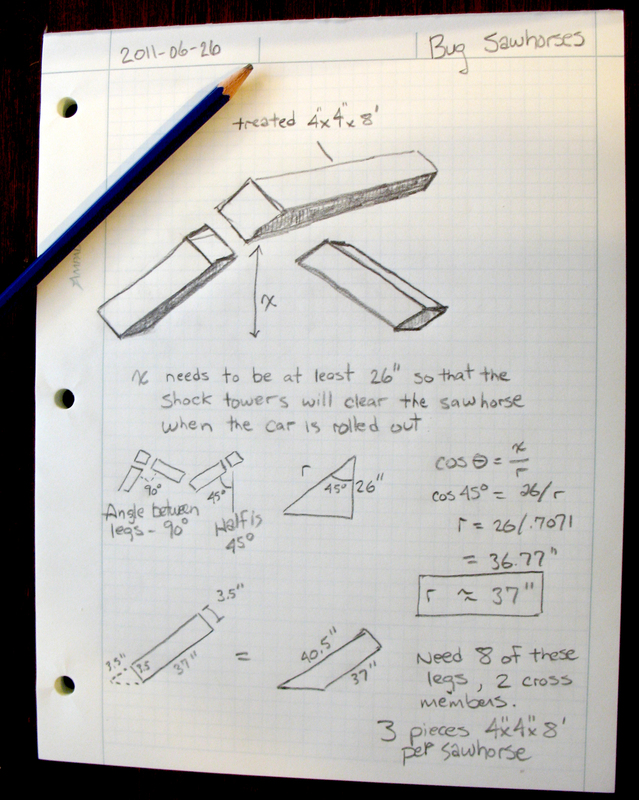 This certainly saves on space. 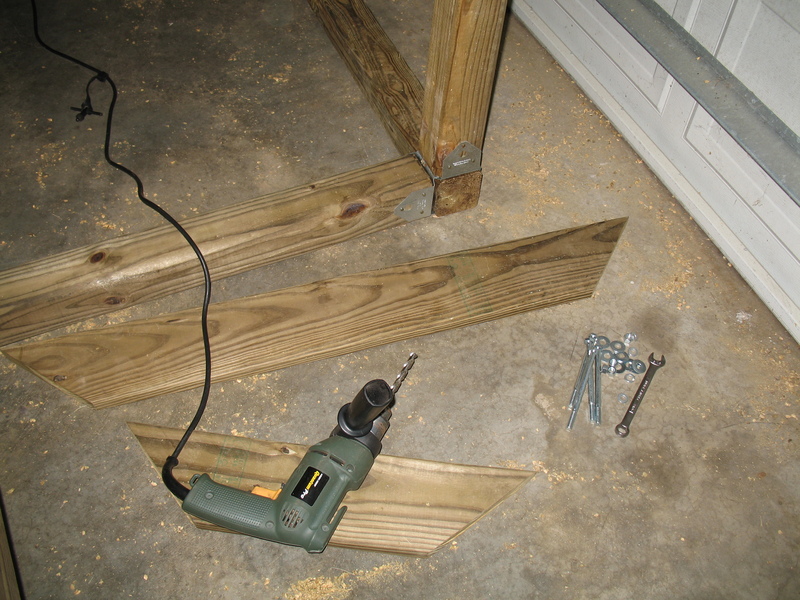 Two-by-fours may work, but I don’t think they’d be sturdy enough at 8′ across to feel safe while you are working on the body. 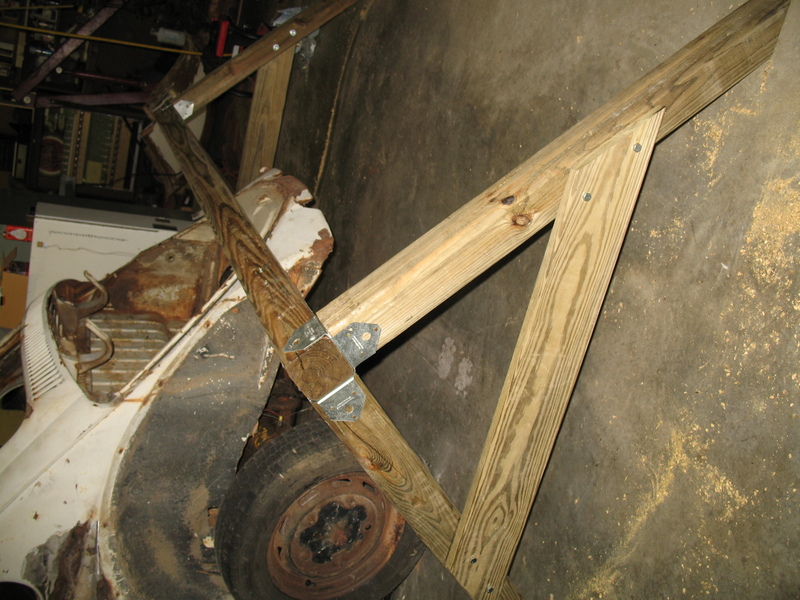 In addition to the 4″x4″s, I also got two 2″x6″ (also 8′ long) for the cross-bracing. 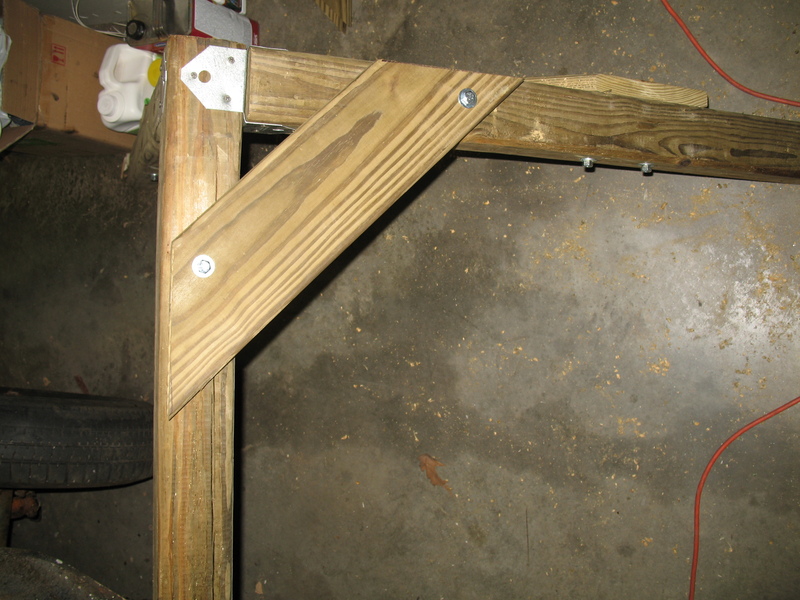 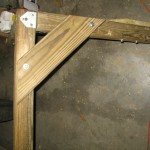 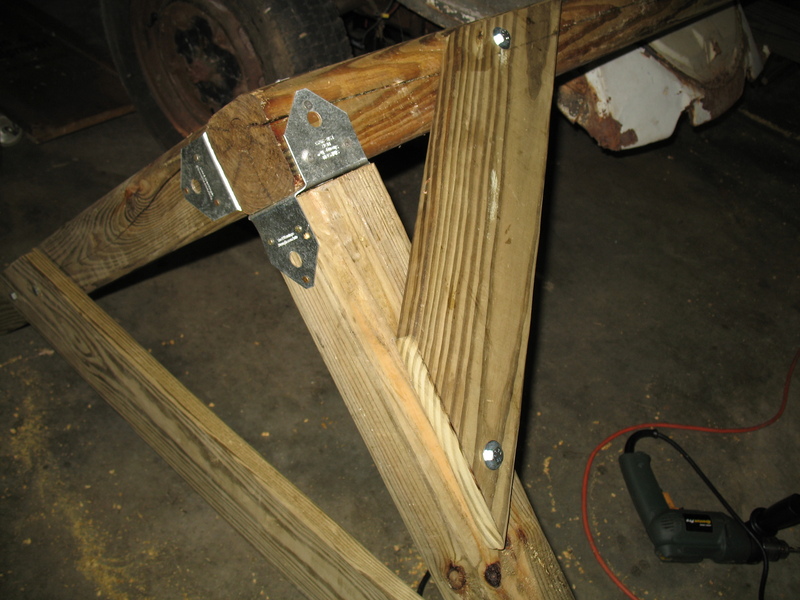 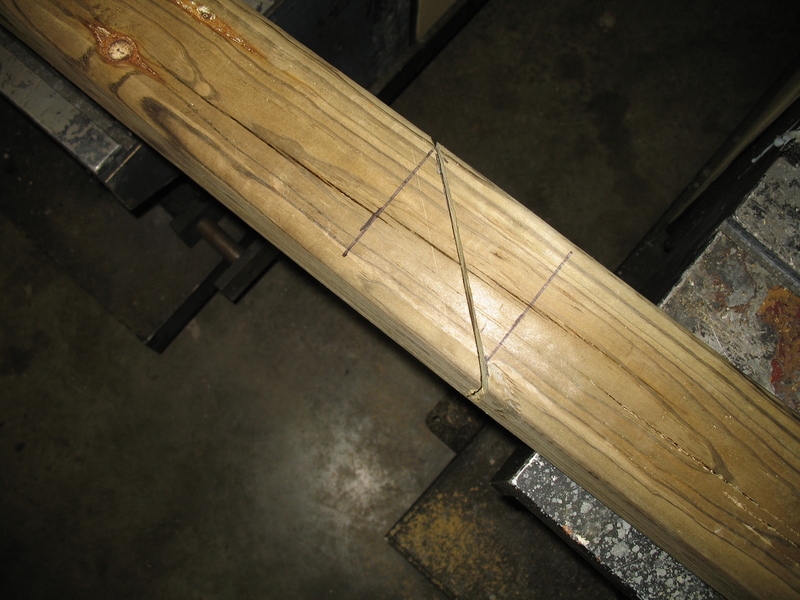 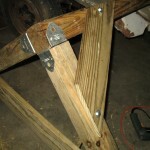 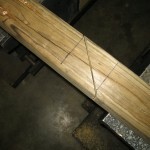 These support members add a lot of strength to the sawhorse. 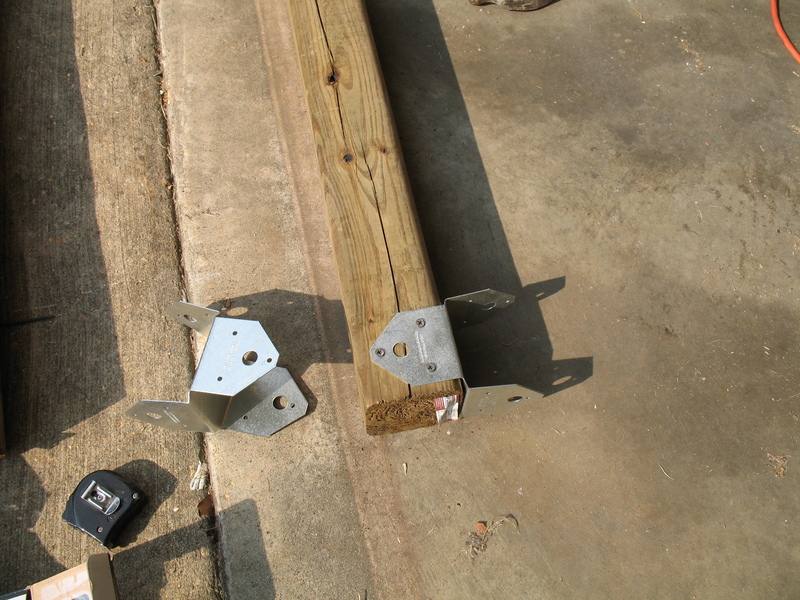 I also bought some fence post brackets to connect the 4″x4″ pieces. 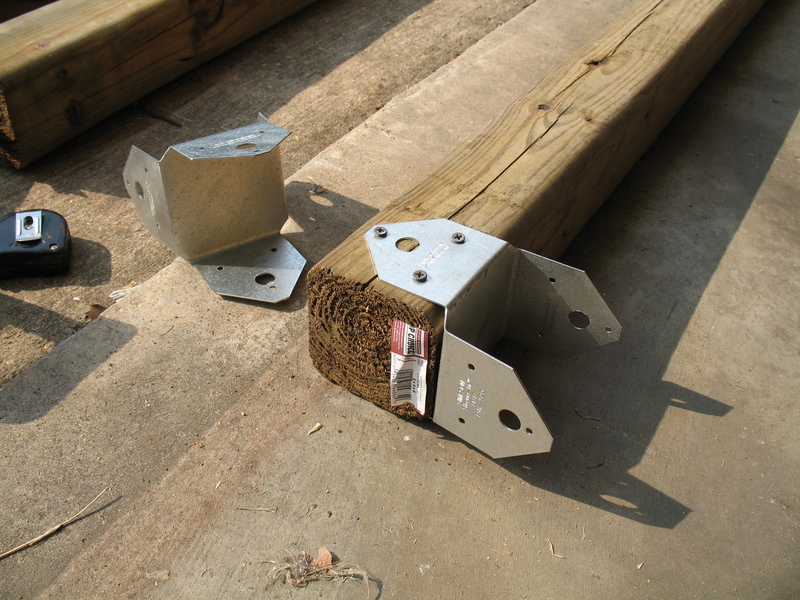 These are ridiculously expensive. 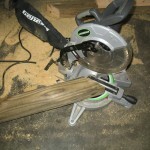 I needed eight of them at $6+ apiece. 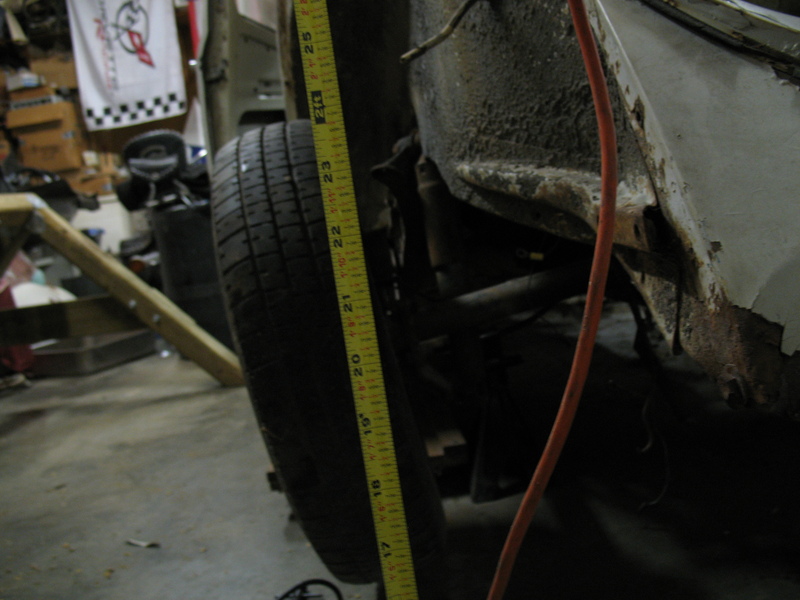 Also, I got about 32 3/8″ bolts with 2 flat washers per bolt, 1 locking washer per, and 1 nut.